Let's take a look at the pictures for more detail.. 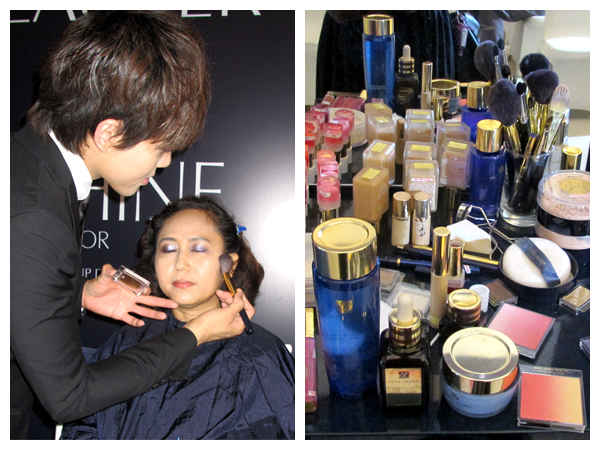 I was drolling when I saw Estee Lauder products that were used by him. 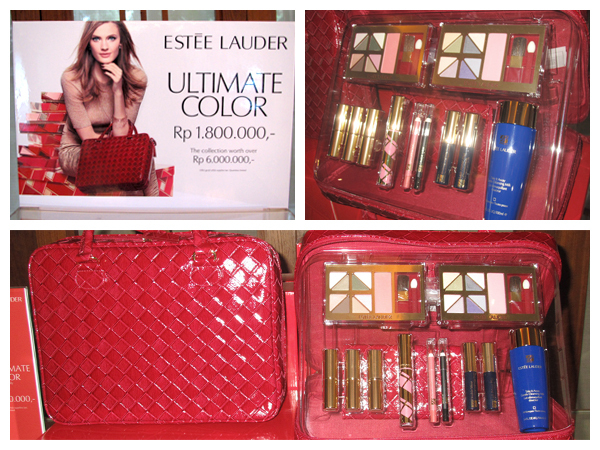 Estee Lauder Ultimate Color Collection. So elegant! 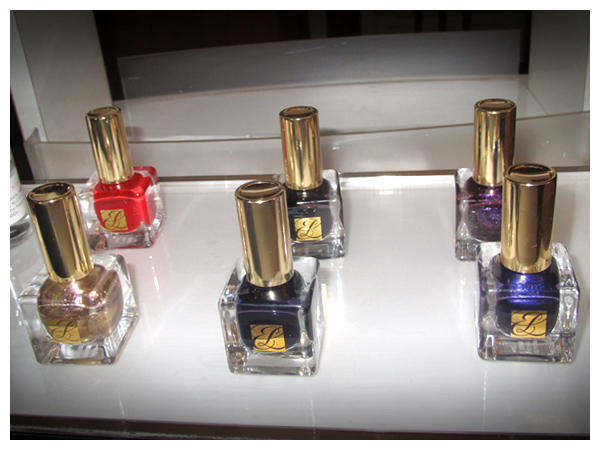 Estee Lauder Vivid Shine New Pure Color nail polishes. 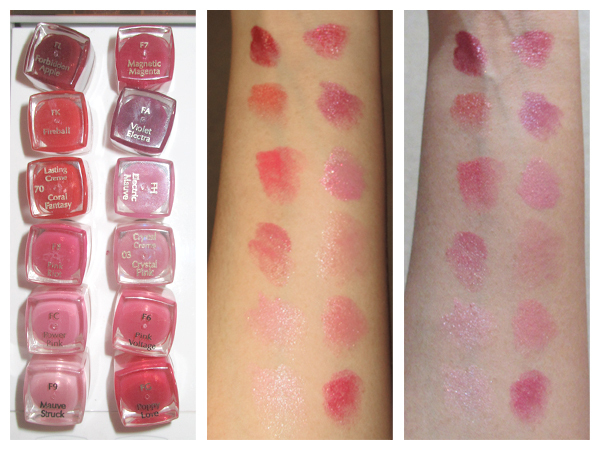 12 shades of Estee Lauder Vivid Shine Pure Color Lipstick. 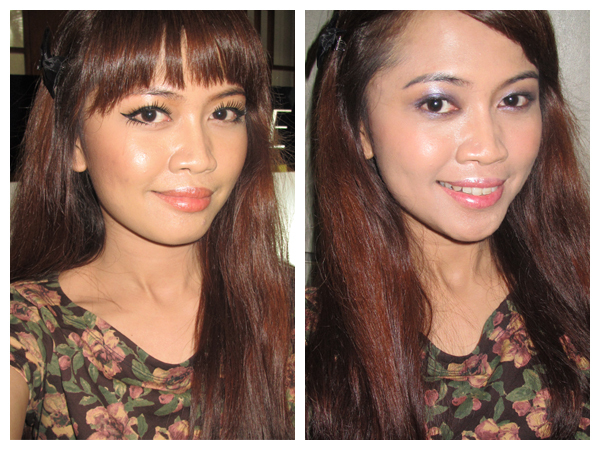 You can see the swatches on my skin with & without flash. 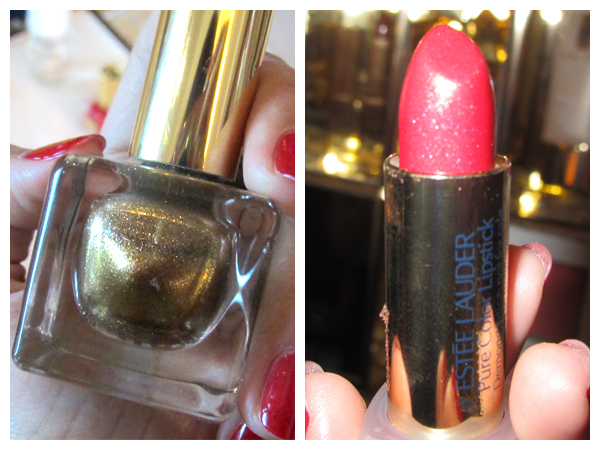 Gold nail polish and Poppy Love lipstick. 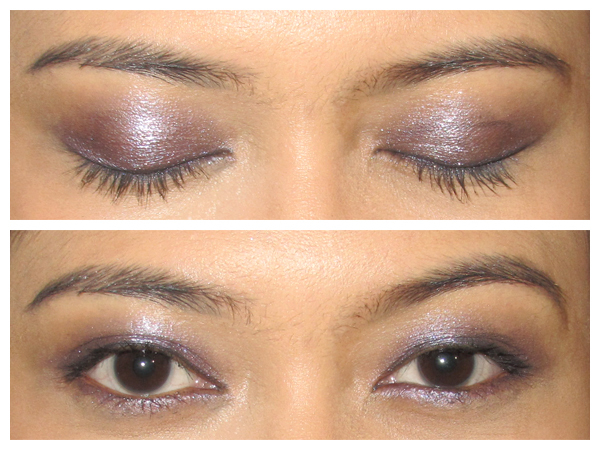 Result of my eye makeup by Leo Wong. 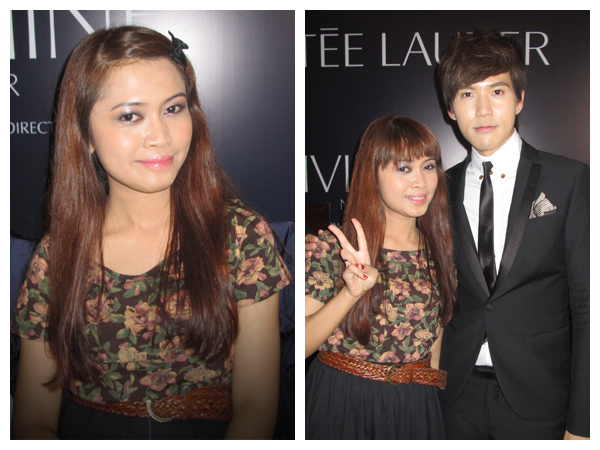 The eyeliner a little bit smudges on my crease =( He applied Estee Lauder Vivid Shine Pure Color eyeshadow on my lids. He said, this new eyeshadow has a new formula called "Techno Texture", which is the combination of gel, powder and liquid. The texture is very light and soft. It creates beautiful gradation effect. I love it! 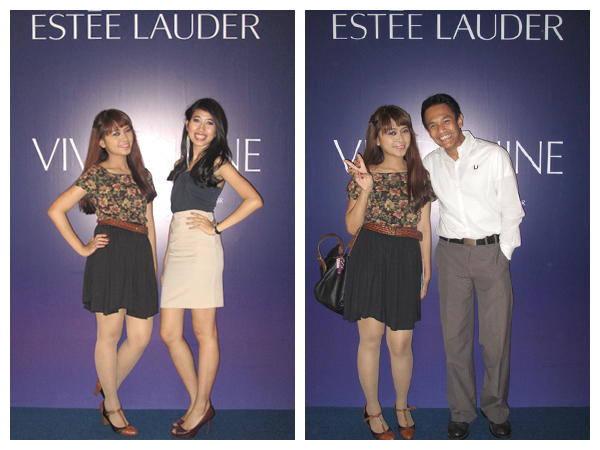 With the MC and Erfan, Estee Lauder Brand Manager. Surprisingly, Erfan knows some of my office mate. I like the before better, with your signature eyeliner and everything. Andita, Rini, Adel> Nyahah.. beda banget ya keliatannya? Memang itu eyeliner tebel udah melekat bgt sama imej saya XD Susah lepasnya..
Beatrix & Lidia> XD Jenjeng..
Endi> XD keliatan ya? tp kalo aslinya belum sih ndi.. Itu karena gw belum keramas dan lightingnya ga bagus kayaknya, hehe..